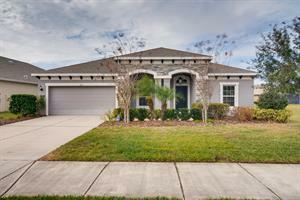 Absolutely gorgeous 3 bedroom, 2 bathroom, 2 car garage POOL home on CITY WATER! Walk through the front entrance and be greeted with your own place of serenity. The large eat in kitchen has an abundance of space, pantry, granite counter tops and a beautiful contemporary back splash - this kitchen would make any chef happy! Spectacular master suite with two large walk in closets. The master bathroom features dual sinks, walk in shower and garden tub for great relaxation! Sit out on your own private, screened in retreat and enjoy your morning cup of coffee while watching the sunrise, once that sun is out and shining take a cool dip in your own private pool! Close to shopping centers, churches, schools, grocery stores, dining and more! You are not a far driving distance to some of the most gorgeous beaches the U.S. has to offer! Welcome to the home of your dreams! This stunning 3 bedroom, 2 bathroom, 2,538 sq. 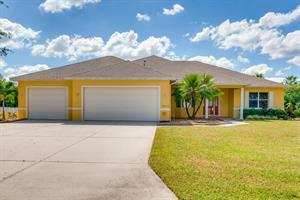 ft. home in Bradenton has everything you've been looking for. With an open floor plan, this home features a beautiful kitchen with lots of cabinets, tons of counter space, decorative lighting, and breakfast area. Relax in the spacious living room which features huge windows perfect for natural lighting, and lots of built-ins, or entertain in the formal dining. The master suite includes a spa like retreat with luxurious tub, walk in shower, and dual sinks. Spacious secondary rooms and office. Enjoy the warm summer nights on the back patio, or take a dip in the luxurious pool! Make this home yours today. Be sure to schedule your showing today! This amazing 4 bed, 2 bath, 2,711 sq. ft. home in Bradenton, FL! Lovely island kitchen that features lots of cabinet and counter space. Spectacular master suite features dual sinks and huge luxurious tub Huge secondary rooms with beautiful baths throughout. Be sure to schedule your showing and make this your next home today! Refreshing open design, chat with everyone. Garage and great yard. Hard wood floors OPEN design Family room.